Shannon L. Costello, a partner at Coolidge Wall with more than 20 years of experience, focuses her practice primarily in commercial and industrial real estate matters and also serves as chair of the firm's Real Estate Department. She represents a wide variety of clients ranging from small start-ups to publicly traded companies. Shannon serves a diverse client base, including real estate developers, investors, and asset management companies involved with office, industrial, retail and multi-family projects, and manufacturing operations. Shannon earned her undergraduate degree from the Ohio State University and attended law school at the University of Cincinnati. Shannon has been recognized in The Best Lawyers in America® in the fields of Real Estate Law and Litigation-Real Estate every year since 2010. 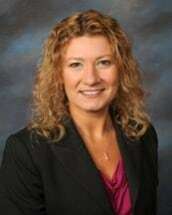 She has also received the special honor of "Dayton Best Lawyers Real Estate Law Lawyer of the Year." Shannon has donated countless hours of legal services to non-profit organizations in the Montgomery and Greene County areas. Most recently, she served as General Counsel for Habitat for Humanity of Greater Dayton for nine years and was Habitat's Board President for two years. She continues her service to Habitat as a member of several committees.